There are different kinds of love. Seductive love stems from excitement and mystery. 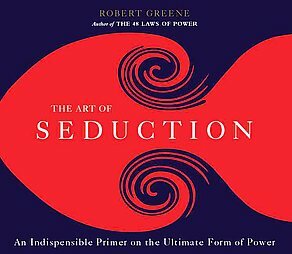 ​The Art of Seduction (1) details the optimal method for gaining power over a "target" or "victim" by breaking the monotony of their daily routine with excitement and mystery, to make the victim fall in love with the seducer. In this process, the seducer strategically plans each "chance" encounter, each designed to fill the victim's mind with distracting thoughts of the seducer, until the victim is finally overwhelmed with desire. ​The potential seducer must study and adapt themselves to one or more of nine classic seducer types. The Siren applies largely to women, the ultimate male fantasy figure, offering a visual mirage of pleasure and sexual energy, a release from the chains of responsibility and rationality to which men may bind themselves; Queen Cleopatra was the prototypical Siren. In contrast, the Rake applies largely to men, the ultimate female fantasy figure, offering seductive language and a willingness to go to ends of earth for her, mixed with a dash of amorality and danger; the fictional libertine Don Juan was a notorious Rake. The Ideal Lover fervently studies his or her victim, finds out what pieces in their life are missing, and provides them; Casanova was a famed Ideal Lover. The Coquette consistently implies the promise of reward, all the while remaining consistently elusive, holding their victim in thrall; Empress Josephine was a professional Coquette. The Star works to become an object of fascination, making their victim want to watch them forever, but keeping their distance so that more is imagined than is really there; John F Kennedy was a Star. ​Seduction does not come naturally, but evolves over the course of a four-phase strategy (for details, read The Art of Seduction) - first chose the right victim, second gain access to their emotions, third work on their subconsciousness, and finally induce physical surrender. First, you must choose a victim and get them interested. The right victim is essential; forget the person who obviously tries to please or charm you, choose the person who subconsciously moves you in a way that cannot be explained in words. Next, create a false sense of security; spend time with the victim, making them believe you are only interested in their thoughts and company so they will wonder why you have not made a move, and may take the initiative themselves. Later, create mixed signals; be hard to figure out by being one thing (such as innocent or intellectual), then throw them a glimpse of something else (devilish or sad) so the victim thinks there is more to you than meets the eye. Second, you must gain access to the victim's emotions. Keep the victim in suspense by being unpredictable, and use words to sow confusion; flatter them, comfort their insecurities, and envelop them with sweet words so that they lose the will to resist. Next, poeticize your presence; alternate an exciting presence with a cool distance, exuberant moments followed by calculating absences so the victim yearns to see you again - avoid familiarity and overexposure at all costs. Next, disarm; strategically display weakness and vulnerability to make the victim think they are the one who is superior and stronger. Later, stir up secret wishes and repressed emotions; confuse the victim, emotionally bind them to yourself. Third, you work on the victim's subconscious. Do something extreme or chivalrous; show the victim how far you are willing to go for them. Next, stir up the taboo; make the victim feel like you are leading them past social limits, to let them explore a bit of their own dark side. Remember not to be too nice; you will seem to eager to please, and kindness grows monotonous. Later, inflict some pain; lure the victim in with focused attention, then change direction and appear uninterested, subjecting the victim to emptiness and pain, followed by an apology later that will leave them begging for more. Finally, you are in a position to induce physical surrender. First, give the victim space to fall; create doubt by taking a step back, show a touch of aloofness, a hint that you are growing bored, and they will want to possess you physically. Next, the bold move; now that the victim desires you in every way, but is not ready to admit it openly, throw aside chivalry, kindness, and and coquetry and overwhelm them with a single bold move, which cannot involve time to consider the consequences, or any hesitation or awkwardness. You are all-in, 100%. Last, beware the after-effects; avoid the long drawn-out goodbye as you sacrifice the victim, allowing the next seduction to commence. The ultimate goal of seductive love is for one individual to gain power over another. In contrast, committed love stems from friendship and intimacy. The Five Love Languages (2) details the optimal method for maintaining committed love, through constantly rejuvenating friendship and intimacy by altering their own perceptions so as to focus on the emotional "love language" spoken by one's partner. In this process, a mate must discover which language their partner speaks, and if unfamiliar, take the time and effort to learn it - for one's love language may be as different from their partner's as Mandarin is from English, and it is seldom that a mate and partner, even husband and wife, speak the same primary love language. Committed love cannot commence unless the mate becomes aware of which of the five primary love languages they and their partner express. Some people express love through Words of Affirmation, using encouraging words and appreciative compliments to express affirmation for their partner, building them up in the process. Quality Time is about giving undivided, focused attention to the partner, whether it be through conversation or a shared activity. People who prefer Receiving Gifts use gifts, often in a spontaneous setting, as a visual symbol of love. Acts of Service express love through a mate doing things - especially those that require planning and effort - that they know their partner would like them to do. People who need Physical Touch are primarily fulfilled through physical gestures, whether it be holding hands, embracing, or more. ​Like seduction, committed love does not come naturally; it takes work (for details, read The Five Love Languages). After coming down from the "in-love" experience, there must be a volitional transition​ to committed love. Most people experience falling in love as an instinctual, euphoric culmination of warm, electric-like tingly feelings, followed by an emotional obsession, which for various reasons is popularly portrayed as something meant to last forever. However, once the experience of falling in love has run its course - which is on average, 2 years - perhaps culminating in marriage, reality sets in as many of the "in-love" physical sensations regress or disappear entirely. If the relationship is to continue, the "in-love" experience must be consciously morphed into a "real love," a committed love, which grows not from instinct, but from reason and choice. In committed love, two people have to see something in each other that makes them voluntarily work to spend their lives together. The process starts with each person learning and acting upon the other's primary love language. The ultimate goal of committed love is for both individuals to compromise for the sake of a lifelong relationship. Both extremes - seductive and committed love - emphasize opposite things. In seductive love, prolonged friendship and intimacy are downplayed for the sake of excitement and mystery; power over another is gained, but with repeated seductions there is a risk of apathy. In contrast, committed love forsakes prolonged excitement and mystery for friendship and intimacy; a committed relationship is gained, but over the passage of time there is a risk of boredom. Is it possible for love to be all these things at the same time - a prolonged binding of excitement, mystery, friendship, and intimacy wrapped into one? Superficially, it might make sense to choose a middle ground - serial monogamy, in which seductive processes may be used less rigorously, to gain several long-lasting relationships over a lifetime. Yet upon reflection, serial monogamy seems to traverse a kind of grey zone between seductive and committed love, with each relationship prone to mediocre levels of excitement, mystery, friendship, and intimacy. Is there another way, a path to a true love? ​Perhaps the story of Musashi and Otsu (3) exemplifies such a love. Both wander Japan, searching for meaning in their own way. Musashi expresses himself through his sword; to him it is more than a mere weapon, it is an "answer to life's questions." 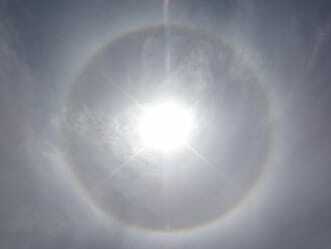 Otsu expresses herself through her flute; creating the "sound of heaven." In their story, Musashi and Otsu stay true to their natures, expressing themselves fully as individuals trying to understand the world; neither attempts to gain power over the other, and neither compromises their sword or flute for the other, or anyone else. Both are tempted at times, yet both resist, respecting too much the path chosen by the other person. Consequently, since the respective paths of Musashi and Otsu often lead them apart, they do not see each other as much as they would like, and they ​suffer for this; each becomes "accustomed to living with the suffering that love entails." Yet whenever they unite, the excitement and mystery of their relationship is carried on to higher and higher heights, even as they develop a closer friendship and deeper levels of intimacy. And perhaps that is the key to a true love after all - two individuals, each following their true path in life, each respecting the other's true nature to the extent that they neither desire power over the other, nor compromise their essential nature for the other, but simply rejoice in the great highs that occur when they can be together, and live with the lows of inevitable suffering when they cannot. Was theirs a true love? Only they can say. (1) Greene R. 2001. The Art of Seduction. Profile Books. (2) Chapman G. 1995. The Five Love Languages: How to Express Heartfelt Commitment to Your Mate. Northfield Publishing. (3) Yoshikawa E. 1981. Musashi. Asahi Shimbun.